The Annual General Meeting was held on April 8, 2017. 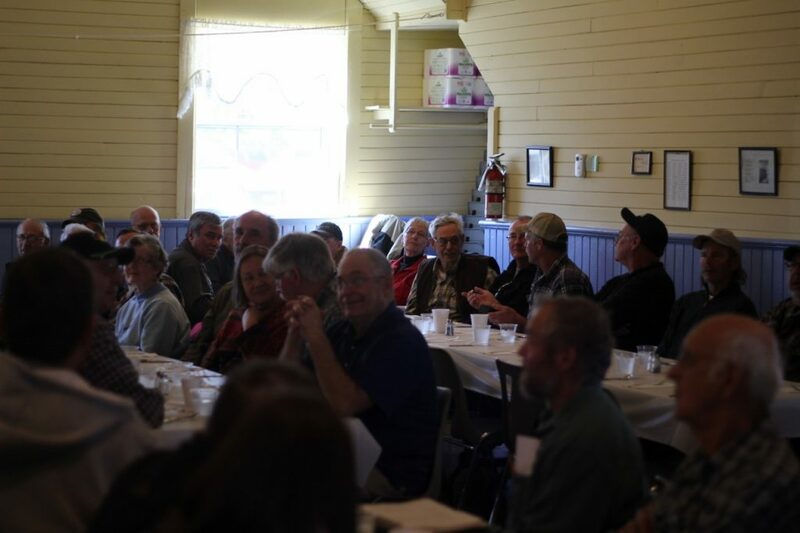 About 65 Huron-Perth members toured the St. Helens sawmill, pallet mill, and leatherworks operation, owned and run by the Stutzman family for decades. 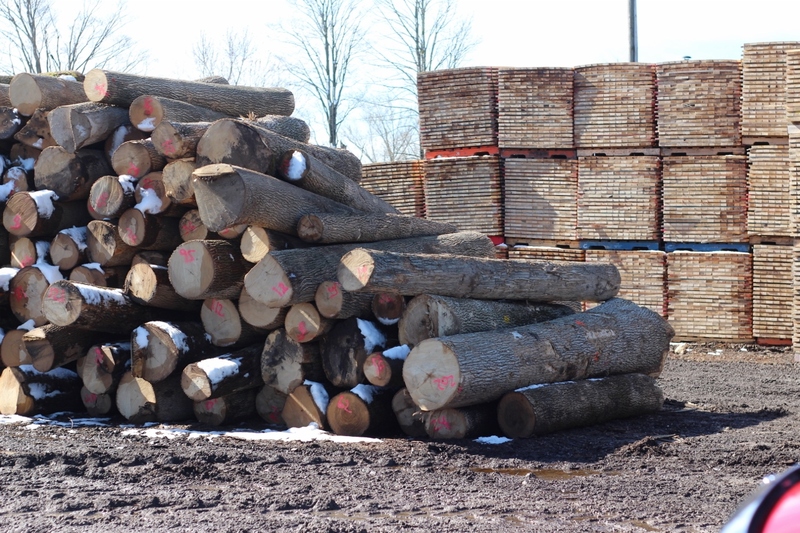 All the lumber that is processed through the mills is from sources in Lambton, Middlesex, Huron, and Perth counties. Watching the sawmill in action is impressive! There are about 8 people working at a time, moving quickly to process the incoming logs. Of course the pallet mill is also a well-oiled machine, cutting boards for fruit-grade pallets. 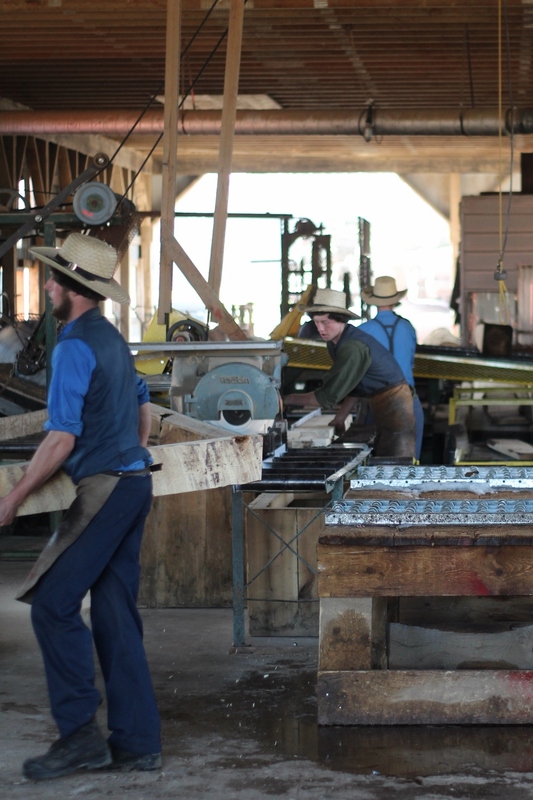 The sawmill and re-saw operation is run by Aaron and Menno, the pre-cut pallet operation by Levi, John (of Little John’s Leatherworks) makes custom leather products, of course all under the advisement of their father Jake Stutzman. Many thanks to our hosts for the interesting tours! The business portion of the meeting included an update from Terry Hoover, our provincial rep, the latest news from Bruce Kropf about Emerald Ash Borer and other trees pests and blights, and Roger, our President, led a discussion about the 2018 provincial AGM, which will be hosted in Huron/Perth. Marvin Smith, who has been Secretary for the Huron Perth group since its inception, made significant contributions toward the Ontario Woodlot Association’s 25th Anniversary Book, which was published this spring. Jim Ginn also served on the Huron Perth board from when it began until this past year. 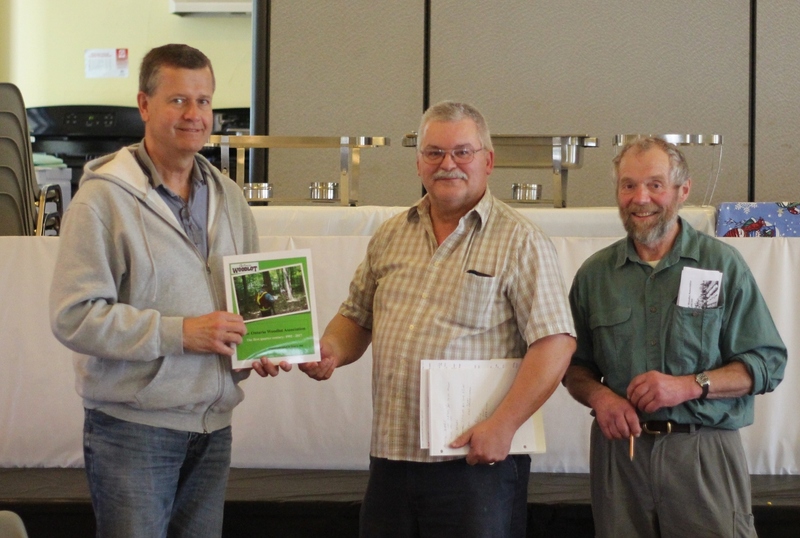 Both Marvin and Jim were recognized by our chapter with a copy of the 25th Anniversary book. There are more copies of the anniversary books available. If you are interested in purchasing a book (cost is $20), contact Roger at 519-271-1978. We’ll see you at our fall tours! Photos provided by Shane Hesch.